Make it a Spa Day! The initial consultation includes: recording and discussing your full medical history, establishing your primary goals, Contact Reflex Analysis (muscle-testing), and the development of your individual protocol and appropriate support materials. Allow 2 hours for your initial consult. Your first follow-up consult is recommended for within 2 weeks of the initial. This allows for timely support for dietary changes you are initiating, further discussion of the supplement protocol, and review of the introductory client educational packet you receive at the initial consult. For Boston clients, the first follow-up will usually be a phone consult. Allow 1 hour. Pati will almost always recommend that you take certain supplements as part of your healing protocol. Those supplements are on sale at our office, both for your convenience (we ship every day) and to ensure the therapeutic quality of what you are taking. Part of our income is derived from these sales, so we keep consultation fees as reasonable as we can in order to make your health care affordable and sustainable for us all. Thank you for buying all of your recommended supplements from us. Allow 1 hour for follow-up consults. These sessions include muscle-testing and protocol revisions. The first follow-up session is included in the initial consult fee. Thereafter, follow-ups are recommended monthly for at least three months, but are always at the client’s discretion. Allow 1 1/2 hours for this group consultation. The first session includes: brief medical histories of all participants, muscle-testing for food sensitivities; blood-type testing; dietary and lifestyle recommendations; take-home packets of menus, meal plans, shopping lists, etc. Learn more about Families First here. Genetics testing and reviews are especially recommended for: young couples considering starting a family; individuals with strong family histories of serious conditions, e.g. heart disease, diabetes, and cancer; and individuals dealing with long-term chronic illness. Allow two hours for this review of your 23andme or similar genetics tests results, with detailed printed report to take home. Client will provide raw data download information prior to the consultation, which Pati will upload into her professional program for results and cross referencing. Pati will review the current client protocol with these new genetics in mind. These results can allow for even more specificity when muscle-testing. You do not have to come to either Colorado or Boston to receive effective care and guidance. 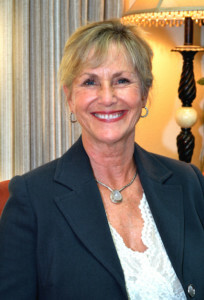 Pati has been helping many distant clients, over the phone, since she began her practice. Skype phone calls with video are available by request. Initial telephone appointments are in two parts. First, there will be a 1/2 – 3/4 hour phone discussion, covering your medical history and health goals. A second 1/2 hour phone session takes place one to four days later, during which time Pati will finish your evaluation using surrogate muscle-testing. You will receive a copy of the protocol by email prior to the second call. During this second phone call, Pati will discuss her analysis and explain the recommended protocol. Your first follow-up (included) is recommended within two weeks of the initial call. Phone follow­-ups are similar to the initial consult, and are also in two parts. On the first call, lasting about thirty minutes, we will discuss your progress or difficulties with the protocol since the initial consultation. We’ll also review the educational materials distributed at the initial consult, and provide in-­depth guidance for diet and recipes. This will be followed by a second call, one to four days later, lasting approximately ten to fifteen minutes, at which time Pati will discuss her new analysis and recommendations. This allows for timely support for dietary changes you are initiating, further discussion of the supplement protocol, and review of the introductory client educational packet you receive at the initial consult.